Delicious shrimp tacos wrapped in a spicy homemade chipotle sauce and topped with an apricot salsa -- just in time for summer. It’s nearly summer and right around this time of year, every weekend, I’m invited to a little beach gathering with my sister and her fiancé. It’s become quite the tradition. I meet them by the water with Lido (family dog) in one hand and a bowl of fruit in the other. And more often than not, they unravel their beach bag filled with wine, cheeses, paella, risotto and nuts to share; all while I’m sitting there with a small water bottle and an even smaller fruit bowl…to share. So when this weekend comes around and I get a message from my sister to meet at the beach, I’m going to blow their minds. There will be fruit of course, perhaps even a watermelon, but there will also be shrimp tacos with a homemade chipotle sauce and apricot salsa! Never again will I be that person who shows up to a party with only a bowl of fruit. I’ll be bringing tacos – these delicious shrimp tacos wrapped in a spicy chipotle sauce and topped with an apricot salsa. And in celebration of summer, I’ve partnered with Best Foods and the FeedFeed to bring you this delicious taco recipe! 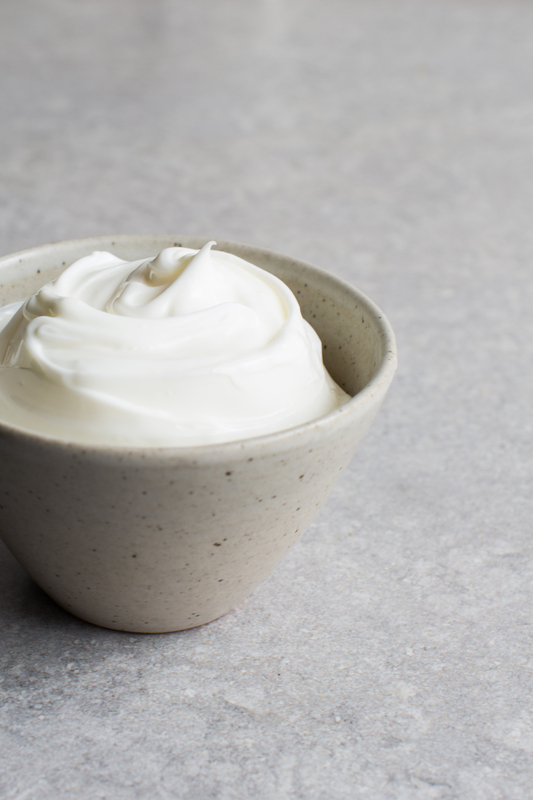 I must confess that before this post I’d never ventured into making any type of homemade aioli or savory cream sauce. So I was pretty excited to give it a go with Best Foods Carefully Crafted vegan-friendly Dressing spread. It made crafting a chipotle sauce such a breeze. These tacos are truly layered in flavor – spicy notes from the chipotle sauce with a sweet aroma from the apricot salsa. There is a little bit of something for everyone. Fore more delicious products and recipes (including a few of my own!) please head over to the Best Foods and the FeedFeed webpages! This recipe was created in partnership with Best Foods and FeedFeed – all opinions expressed are my own. Thank you for supporting brands that support 8th and lake! Start by making the chipotle sauce. Simply add all the ingredients to a food processor and blend until creamy. To make the apricot salsa, simply toss all the ingredients into the food processor and pulse on-and-off for 15 seconds. You want a chunky consistency - not too runny. Now for the shrimp - make sure your shrimp have been cleaned and have their shell removed. Heat the olive oil and crushed garlic in a saucepan on medium heat. Place the shrimp on that saucepan and let it cook on one side for 3 minutes. Sprinkle with sea salt and flip to cook on the other side for 3 more minutes. They will be done when the skin turns from clear to white. Squeeze lime juice over the shrimp to finish it off. In a hot saucepan warm your tortillas for 15 seconds on each side. 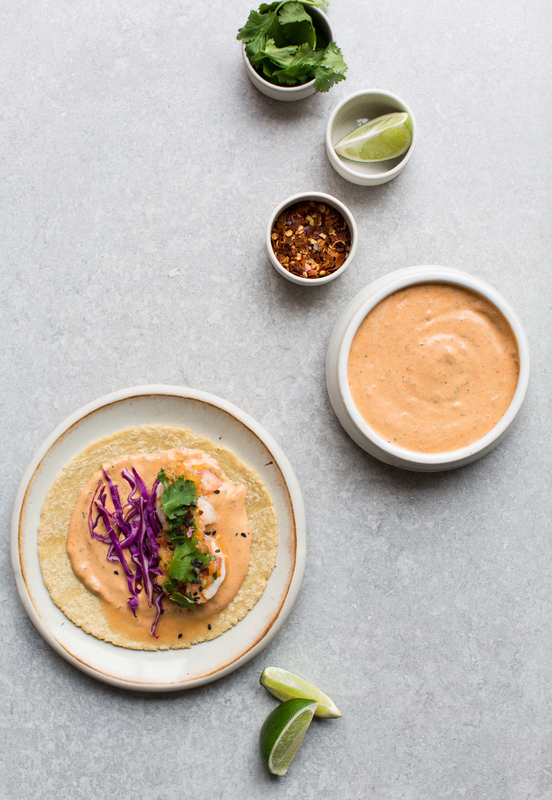 To assemble the tacos, simply spread a thin layer of the chipotle sauce onto the taco, and then add some shredded cabbage, cilantro, and a few pieces of shrimp, top with the salsa and a squeeze of lime juice. Enjoy! Have you guys tried making your own homemade chipotle sauce before? It really is such a simple thing - all it takes is 5 extra minutes and it's absolutely worth it. Brings so much flavor to your meal.